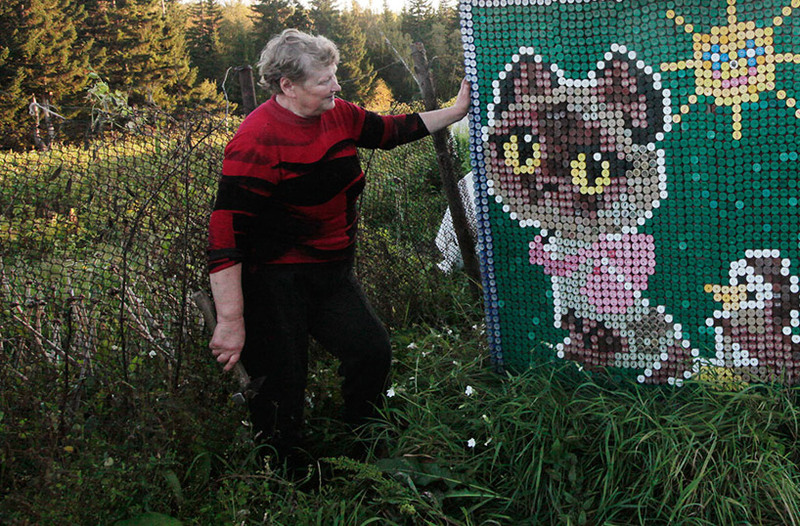 Olga Kostina is a resourceful Russian pensioner from the village of Kamarchaga in the Siberian Taiga. 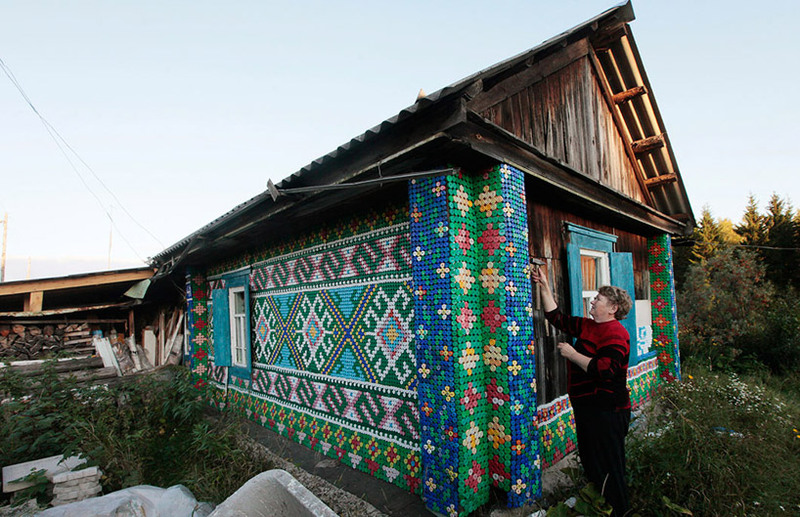 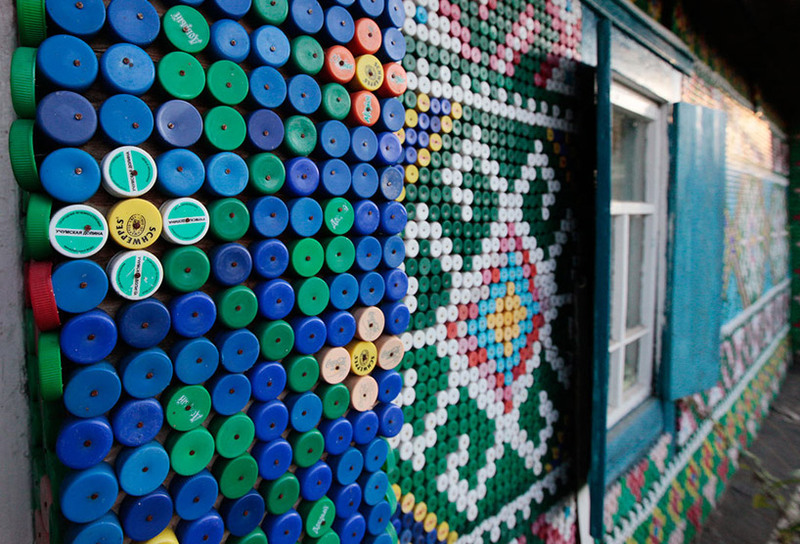 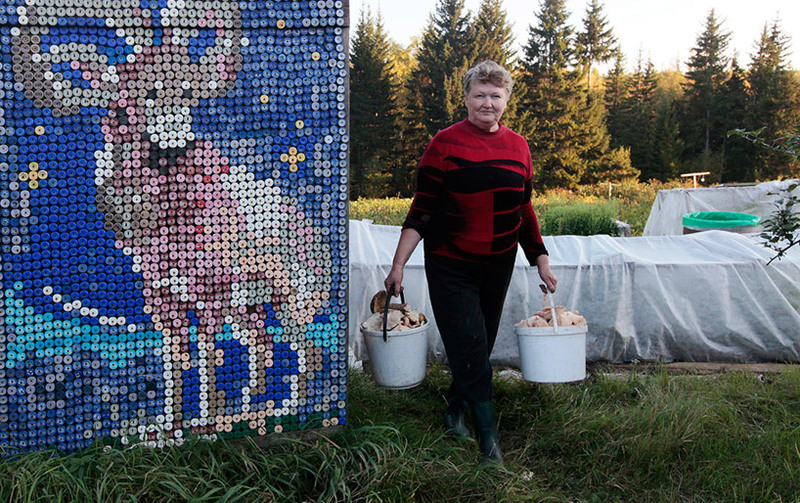 Using 30,000 bottle caps, she has adorned her home in murals depicting traditional motifs and woodland creatures. 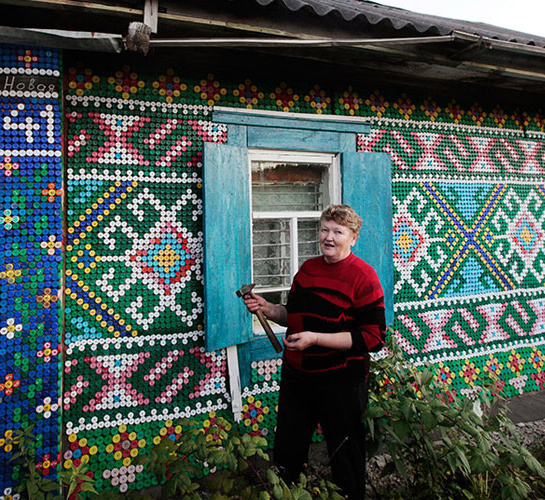 She uses a textile technique called Macrame to fabricate the mosaics and hammers in every cap by hand.